Growing up in a Puerto Rican household we always had Pernil (roasted pork) as one of the main dishes on Thanksgiving. 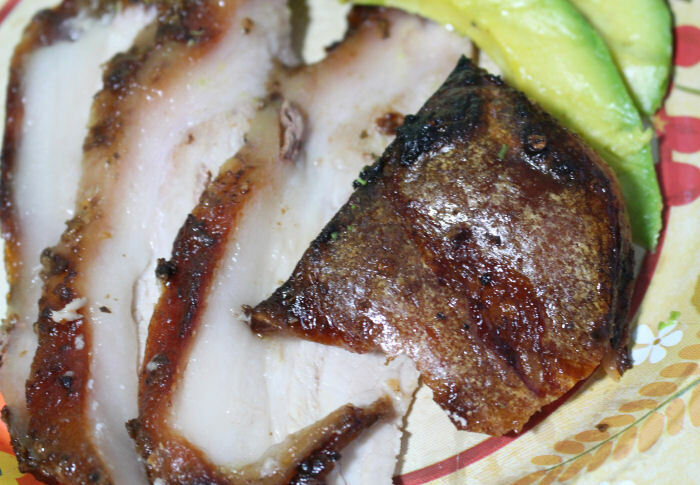 Thinking back, pernil was always a staple in any of our family get together's. There is something about all of that garlic, oregano and crispy pernil skin that always takes me back to my childhood. 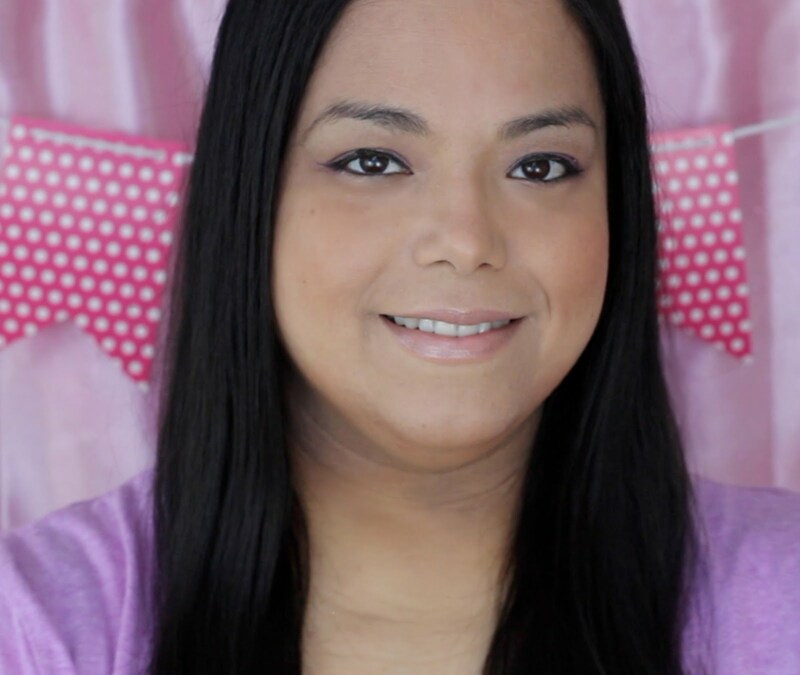 My grandma was the cook of the family so I loved helping her in the kitchen while I memorized all of her famous recipes. Now that my grandma is in her 80's and retired from the kitchen I get to follow in her steps and take over the kitchen. While I have all of her recipes in memory I like to add my own spin on things and make them spicier! 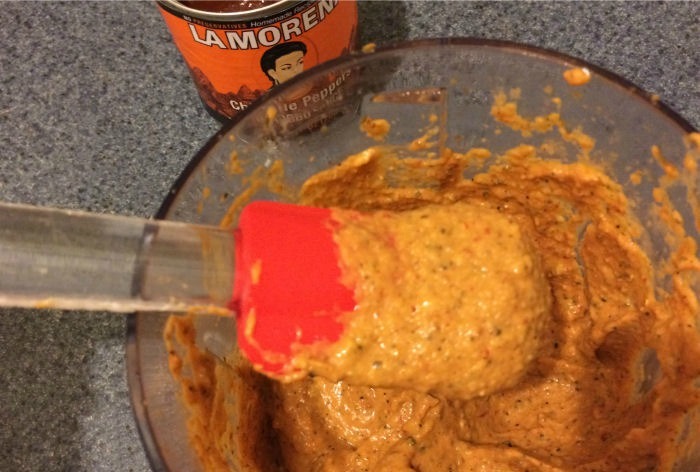 One of my favorite ways to spice up my meals is by my favorite Mexican food brand, La Morena. 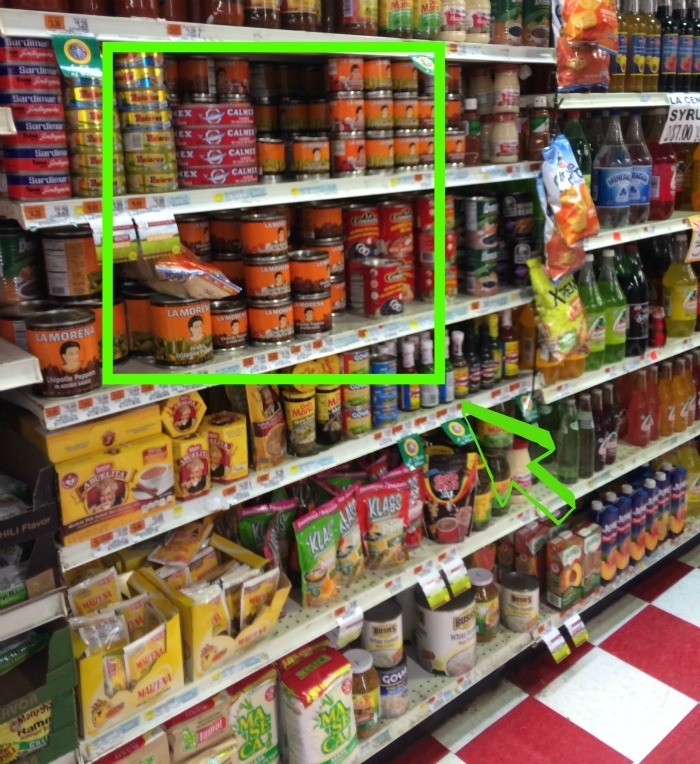 All I have to do is head to my local bodega right in the corner and pick up some La Morena Chipotles. 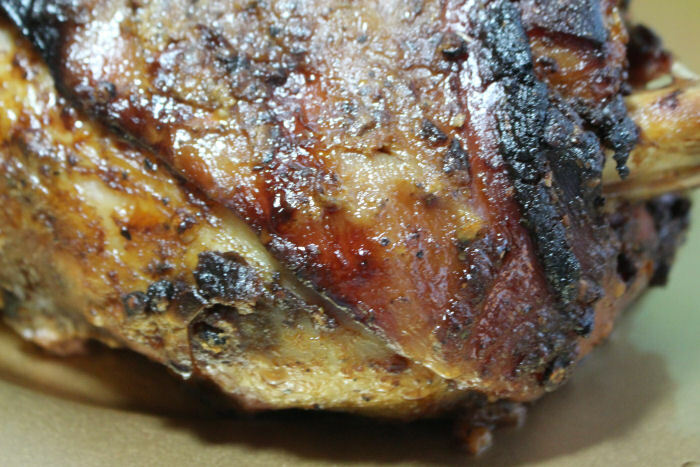 **We usually marinate the pernil for two or more days in the refrigerator before cooking it. For the best flavor you should marinate the pernil at least overnight. 1. Take all of the spice ingredients and place into a mini food processor (I used my Ninja). You want to make a paste with the ingredients that is well combined. 2. Cut slits into the pernil at least 1 1/2 inches apart and carefully add some of the spice paste into each slit. Rub the outside of the pernil with the remaining paste. 3. 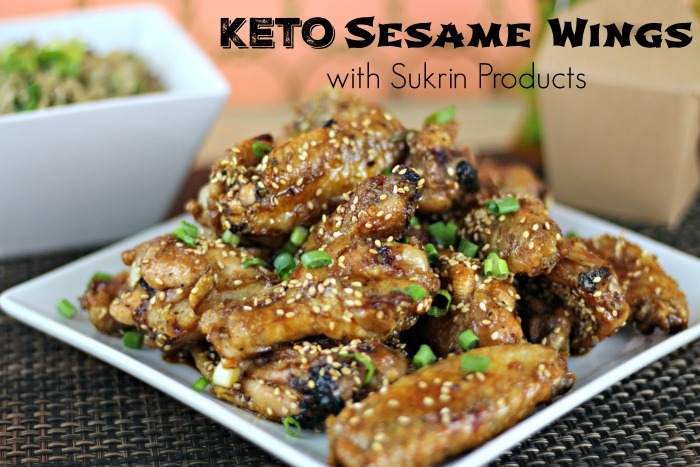 Place in a baking pan, cover and place in the refrigerator to marinate for at least 2 days for best results. 4. Take out of the refrigerator for at least 30 minutes to get the chill out of the pernil. Cover with aluminum foil and place in a 325 degree oven for 5-6 hours, depending on the size. Remove foil and cook on 375 degrees until the skin is crisp, about 45 minutes. 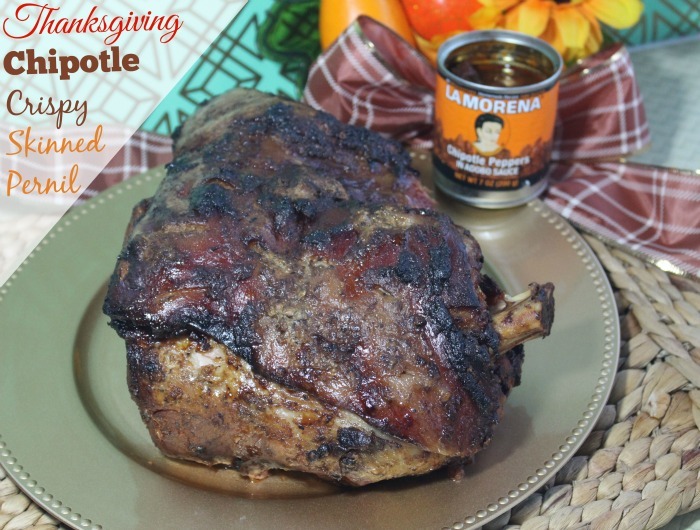 How would you use the La Morena chipotles to spice up your traditional Thanksgiving recipes? This sounds so delicious! I'll have to show this to my husband so he can cook it for us! How fun! I am thankful my mom is willing to try variations on her recipes. It makes it feel like they are also mine when I can spice them up a little. Can't wait to try your pork recipe. That takes a long time to make right!! It sounds so good. Alas I can no longer handle too much spice of any kind-even though I love it--my stomach rebels! Yummy! It makes me hungry, I think it's fantastic, I'm gonna try it this coming holiday. My mouth is watering. That looks so delicious and I bet crisping up the outside is one of the best parts. That looks so flavorful and amazing! I love how you created the paste to do this. YUM!